I have been inspired a lot by Pantone color of the year 2017 Greenery. My breakfast and beauty routine has been looking pretty green. 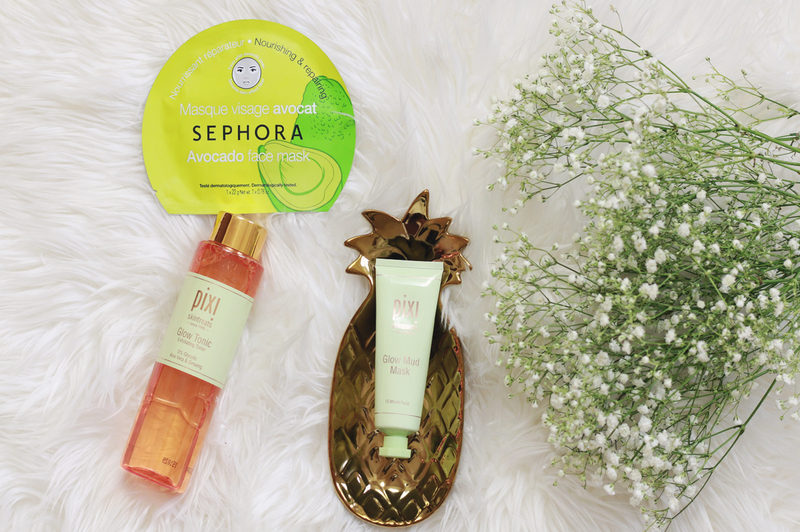 I love those face masks from Sephora. The Rose is my favorite and wanted to give the avocado a try. If you guys follow my blog, you'd already know that Pixi glow tonic is one of my favorite toners. It doesn't have alcohol which I love & really good for acne prone skin. I've heard a lot about the Pixi glow mud mask and I was so eager to try it. I cannot really say much about the mud mask due to haven't used it enough to know. So far so good. Have you been into green a lot lately?